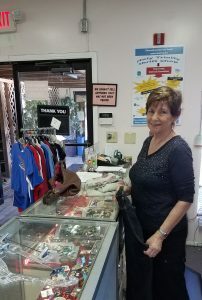 If you are looking for a fun place to shop that has friendly faces and great bargains…Holy Trinity Thrift Shop is the place! We have items in every category, including clothes for women, men and children; housewares for kitchen and bath; furniture; electronics; toys; artwork; tools; and just about anything else you and your family would need for the home. Each week we have a different sale or discount on our already very low prices: 30%, 40%, 50%, and sometimes 75% off! See for yourself! We think you will soon join our growing list of regular customers. We also take donations, so bring us your gently-used items that you no longer need. Special pick ups may be arranged by calling.